Obituary for Curtis Richotte | Kostanski Funeral Home, Inc.
Curtis Richotte, 80, of Randall Road in Montague, lost his battle with cancer on Monday, October 29, 2018. He was born October 7, 1938, the son of Rene and Eda (Gagne) Richotte at the former Farren Hospital in Turners Falls. He attended Greenfield Schools. 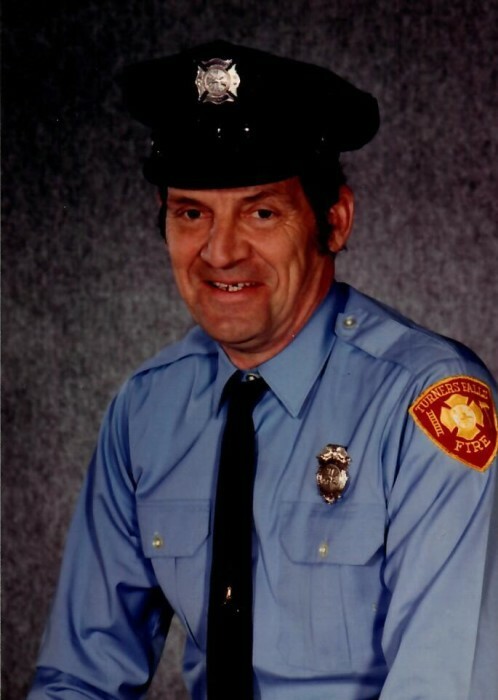 He was a volunteer fireman for the Turners Falls Fire Department for 28 years. He worked for the Boston and Maine Railroad in the engine house for 17 years. He later retired from Country Oil where he had been a burner service technician and a plumber for several years. He is survived by his wife Betty (Wallace) of 29 years; children: Brian (Katrina) Richotte, Todd Richotte, Lisa Richotte, Jonathan (Luann) Eggleston, and Rebecca Keyes (Corey). He also leaves his brothers: Joey Richotte, James Richotte and Donald Richotte as well as sisters Claire Jablonski, Phyllis Vouden(Herbert), Carol Krol (Lou) Chris Garbiel(Pete), sisters-in-law Pat Richotte, Joan Richotte and Chrisitine Richotte. Curtis also has several loving grandchildren: Patricia Slaughter (Jason), Kyle Bascom (Issa), Krista Parker (John Michael), Nick Lapan, Bree Richotte, Brittney Sweeney (Paul), Matthew Richotte; several great grandchildren and many nieces and nephews who will miss him dearly. He is predeceased by: his parents, brothers Roland, Gerald, Eugene, Rene Jr. and a sister Jackie Tuminski. He was a very friendly, outgoing person who always enjoyed life to its fullest every day. He was very passionate about motocross and greatly enjoyed watching them ride and he met many wonderful people who have become like family to him. The family would like to thank Hospice of Franklin County for the wonderful care that they gave Curtis during his journey. No formal services will be held, but there will be a celebration of life to be held at a future date and time to be determined. In lieu of flowers, donations may be made to the Turners Falls Fireman's Association, 180 Turnpike Rd., Turners Falls, MA 01376 or to Hospice of Franklin County, 329 Conway St., Greenfield, MA 01301.